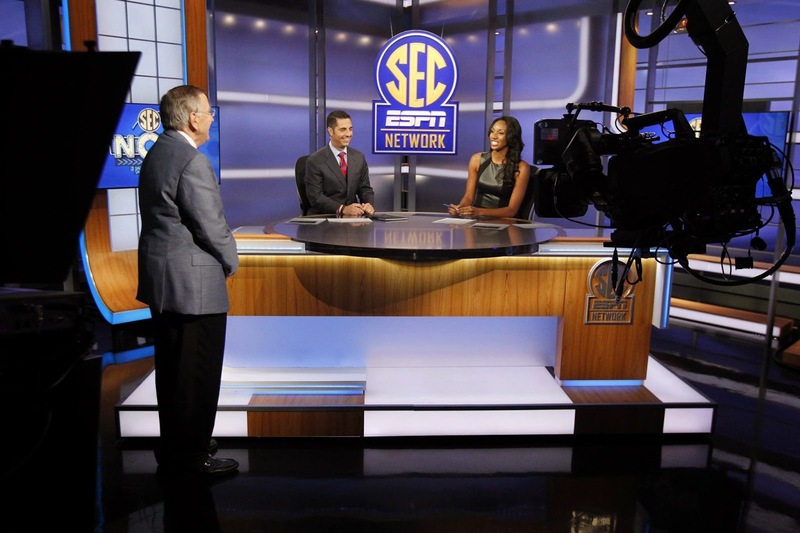 At 6 p.m. yesterday (Thursday, August 14), the highly anticipated SEC Network launched. The Southeastern Conference and ESPN partnered to create this new national television network, which will provide 24/7 coverage of SEC college sports--specifically during the first year: 45 football games, 100 men's basketball games, 60 women's basketball games, 75 baseball games, 50 softball games; plus, live events, classic games, and original studio programming, they say. But let's keep it real. This channel has been created because college football's popularity is at an all-time high, bringing in billions of dollars a year in revenue, and the SEC has been the perennial football conference for the last decade. I'm excited that I'll get more comprehensive coverage of my South Carolina Gamecocks--we kick off the 2014 football season, on the new network, Thursday, August 28, at home against Texas A&M--but how many of us will be tuned into the channel come mid-January once football season is over? Furthermore, a lot of the big SEC football games, like Alabama vs. Auburn, Florida vs. Georgia, and LSU vs. Alabama, will continue to be shown on the major networks like CBS and ABC. But for now, the SEC Network is making an historic debut, reportedly available in 75 million households. And in terms of projected revenue, it's the fifth-largest sports network in the country, behind ESPN, NFL Network, ESPN2, and FS1; and far ahead of its rivals, so to speak, the PAC 12 Network and Big Ten Network, which launched before it. Out the gate, the SEC Network is available on most of the major cable TV and satellite providers: AT&T U-verse, Charter Communications, Cox, DirecTV, Dish, Time Warner Cable, and Xfinity (click here to find your channel). The network is based in Charlotte, located at ESPN's offices and studios in Ballantyne, which also produce ESPNU (the Southeastern Conference itself is headquartered in Birmingham). There's a newly assembled staff working in Ballantyne, but a lot of the broadcast coverage will also come from on-site at each of the 14 SEC schools. And the network scored a major victory when it lured legendary college football analyst Paul Finebaum to Charlotte.